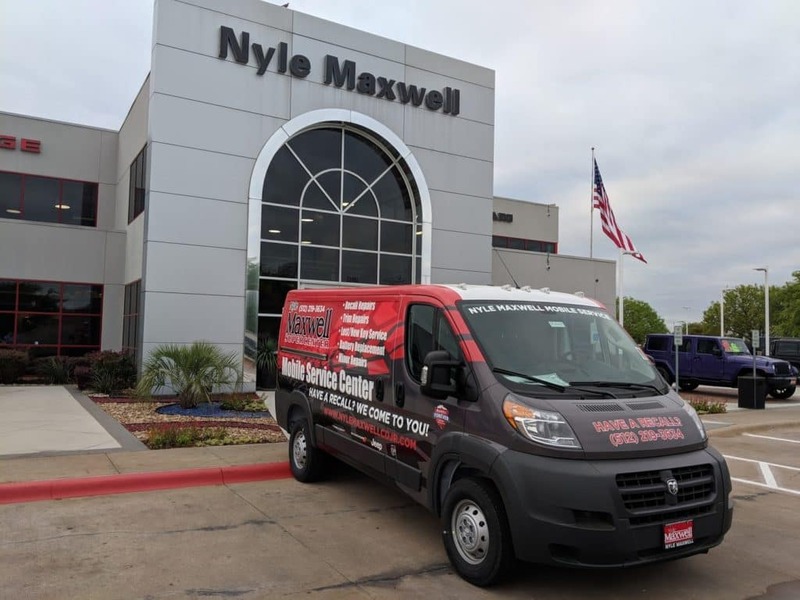 Making auto service more convenient has always been a mission at Nyle Maxwell Chrysler Dodge Jeep Ram — that’s why we offer everything from a Mopar Express Lane for quick routine work to early bird hours and shuttle services. But we can also come to you! How Does Mobile Auto Service Work? Even with extended hours to fit your schedule or loaner vehicles and shuttles to keep you mobile, bringing in your vehicle for service can still be inconvenient. Our mobile repair service makes things that much simpler. Instead of having you come to us, our mobile mechanics can come to you. They can take care of regular maintenance and perform checks without forcing you to interrupt your busy life. What Can Our Mobile Repair Service Handle? Open Recalls: Handling parts such as airbag inflators and other recalls that don’t require the vehicle to be lifted or have its wheels removed. Special Part Installation: Order anything from a high-spec radio to a new trim item? We’ll install the special parts you’ve ordered. Lost Key: Misplaced your key or simply want a new one? Simply contact Nyle Maxwell Chrysler Dodge Jeep Ram and our mobile mechanics will help. This isn’t a comprehensive list — contact us to learn more about other parts and repairs our mobile mechanics can handle for you. What Do Our Mobile Mechanics Need from You? Whether you want to schedule a service or arrange mobile repair, contact Eric Tippett at 512-900-2381 today. Whether you’re in Austin proper or in one of the suburbs like Round Rock or Cedar Park, our mobile auto service can come to you. You can even browse our service specials to save big on maintenance!